SEATTLE—A study published Tuesday by the University of Washington revealed that the gastrointestinal bacteria of American citizens are the most obese in the world. 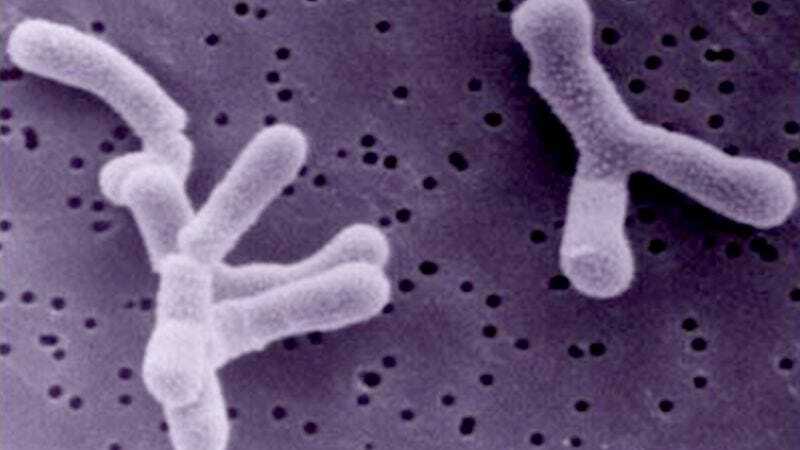 “We found that American intestinal microorganisms consume an unhealthy diet rich in sugars, fats, and processed foods, and as a result, tend to be severely overweight compared to international averages,” said researcher Benjamin Singh, highlighting electron microscope images of American Bifidobacteria cultures that showed their bulging plasma membranes and thick layers of internal cytoplasm. “Indeed, most intestinal microbes residing in U.S. residents had difficulty propelling themselves around the GI tract with their flagella and spent most of their time ingesting saccharides in the same stationary position in the gut, which leaves them at high risk for chronic health problems and a shorter life cycle overall.” Singh added that there was little hope of curbing the obesity epidemic in the near future, noting that most American intestinal bacteria live in areas where nutritious food options simply are not available.